Hope you all had a fantastic holiday! If you decided to knit your gifts this year, hope you were able to finish them. If not, well there is always next year. I came very close to not finishing my knits this holiday season. Spent many hours knitting and I think it all turned out very well. Several weeks ago, while I was knitting a scarf for a friend, I realized that I haven’t designed a men’s scarf for Purl Avenue. With that said, I’ve decided to share this men’s scarf pattern with you all. This is the exact scarf that I knitted as a gift for my friend for Christmas. The Ridge Rib Men’s Scarf was knitted using the Ridge Rib stitch. There is nothing complicated about this stitch. It uses variations of knits and purls and no increases or decreases. 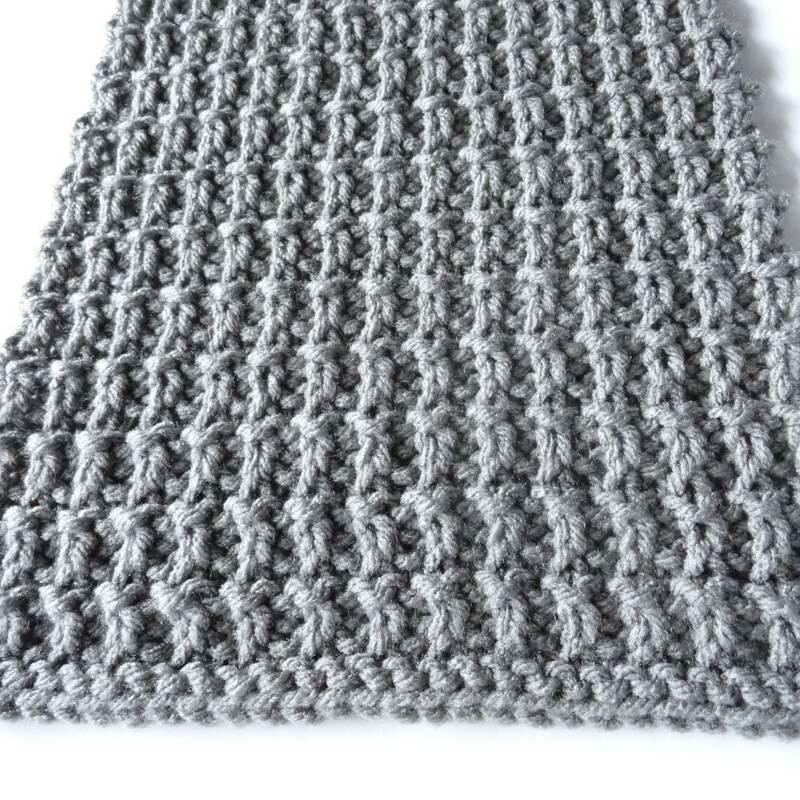 The Ridge Rib stitch is simple and gorgeous. It adds that little something to the Rib Stitch. After blocking, this scarf measures about 81″ (206 cm) long and 8″ (20 cm) wide. Row 3: p1, *k1, p1; rep from * to end of row. Row 4: k1, *p1, k1; rep from * to end of row. Repeat Rows 1-4 to desired length. Weave in loose ends and block for optimal results. 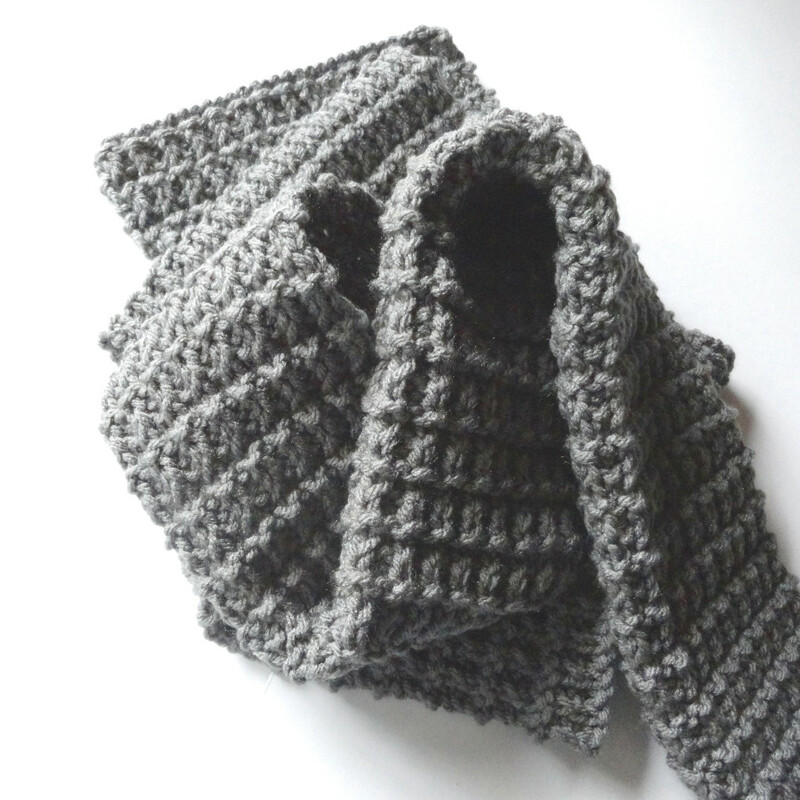 Now you’ve knitted yourself a brand new, modern and sleek-looking scarf! Intended for personal use only and NOT selling or re-selling purposes. Please be considerate when using our patterns by allowing us credit for our hard work. I love your stitch patterns! they are very easy to read and understand! Many thanks! Row 1 says (RS) knit… Is that a special type of knit stitch or do I just knit the first two rows? Newbie here. Beautiful pattern. Always looking for new men’s patterns. Can this be done on circular needles? What would change if so? I added the stitch pattern (flat and in the round) to the Stitchinary. Here is the link: http://purlavenue.com/2014/02/ridge-rib-stitch.html. Hope that helps. I would like to make this scarf a little wider. How does one increase the stitches? Thank you. This scarf was knitted in a multiple of 2 sts + 1. I’m not sure how much wider you would like the scarf to be but as long as you cast on a multiple of 2 sts + 1 you will be okay. I just found your website today an it is awesome. I learned. A lot from here . Thank you. I’m still trying to learn. I am an electronic technician who used to do needlepoint to keep my hands nimble. My failing eyesight has recently caused me to take up knitting. I found this pattern via Google, and have fallen for your web site. I only have 16 rows knitted so far, but I can see it is going to be wonderful! Thank you!!! I was wondering if you’d designed a matching/coordinating hat to this lovely pattern by any chance, or if you plan to in the near future, or do you already have a hat pattern that would sort of go with this one? Hello Elaine. As I am finishing a vest knitted in this stitch pattern, I have thought about a hat as I have extra yarn. I am thinking about using a basic pull on hat pattern with several inches of rib. Instead of the typical rib, I will use the ridge rib which is reversible & could be turned up. The vest pattern, Classic Shawl CollarVest, is from Mari Sweaters & was purchased through patternfish.com. I have just finished the scarf for my husband ahead of our trip to Alaska. I’m an absolute beginner knitter and am thrilled with the result. Thank you for sharing. You’re welcome. I’ve always wanted to go to Alaska. Hope you have a great trip! Blocking is a technique used to stretch out the knitted project to make the stitches look uniform. For more information on blocking, check out our Blocking 101 page. Thanks for sharing this pattern. I just made it for my dad as a birthday gift and it came out beautifully. I think a short fringe would look great! Thank you Purl Avenue. I will definitely do the short fringe and will send a picture when I finish the scarf! Almost there and it looks great!! Made this scarf. Did end up leaving off the short fringe. I like it just the way it looks now. My granddaughter saw the pattern, loved it and wants me to make her an infinity scarf in this pattern. Should I just make the scarf and then join the ends or can this be made in the round? I would appreciate your help on this. Thank you!!! 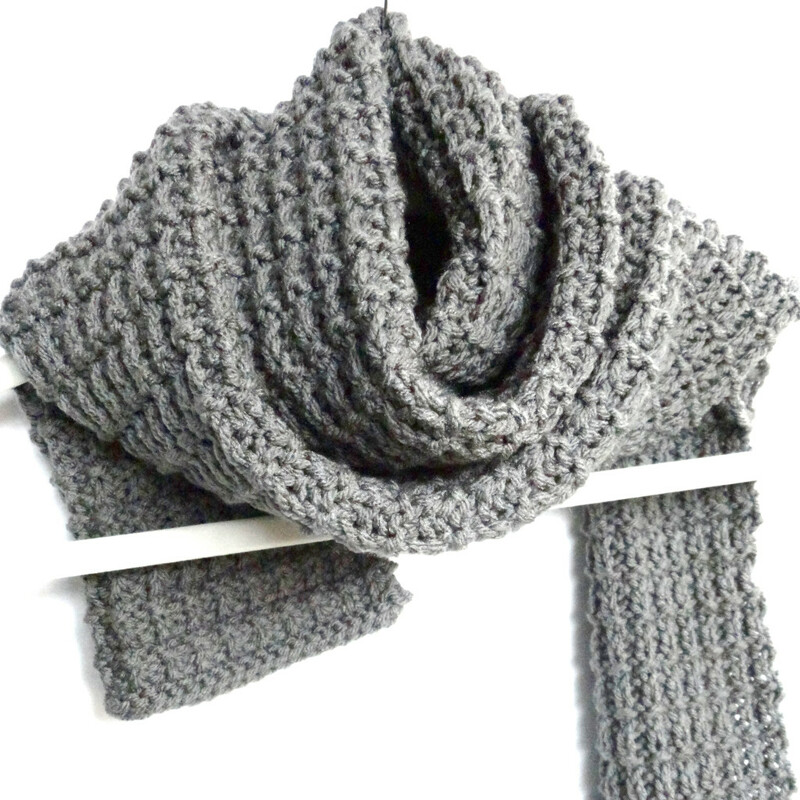 I would like to use the exact yarn that you used in your photos for the ribbed ridge men’s scarf. Can you tell me what that is and the specific color. Thanks very much. I used Red Heart With Love in Pewter. Newbie knitter. First scarf… Can you tell me suggested length? Beautiful pattern! Can’t wait to start! For a man’s scarf, I would recommend 60″ (5 ft). Of course if the person is more on the taller side, I would add a few more inches. Hope that helps. Happy knitting! Just wondering what the tapestry needle is used for? It is used to weave in loose ends. In order to have both ends match, would I end with row 1 and 2 or on row 4? I’m almost finished and want to be sure it turns out right. Thanks! Never mind. I finished it. I ended on rows 1 and 2 and it turned out just the way I’d hoped. Sorry, just saw that you added the in the round instructions, so I guess my question is answered! I will try it in the round and in a red color for my granddaughter. She also wants one in grey!!! The scarf came out so beautiful! Is there a men’s hat pattern that you would suggest to go with it? I’m a very new knitter and learning how to read patterns. When you say p1, *k1, p1, rep from * to end of row… does that mean p1,k1,p1,k1,p1,p1,k1,p1,p1 or does it mean p1,k1,p1,k1,p1,k1,p1? Your first stitch should be p1. Everything after the * (in this case, k1, p1) are your repeats. When knitting this pattern, you are going to do the p1 and then do your repeat stitches (k1, p1) until you reach the end. Hope that helps. wonder about using two different colors and making a stripe with this? would that work? I am thinking a gray and a black. Yes, it would look wonderful as a striped scarf. I would suggest alternating colors after every forth row. I created a hat to match the Ridge Rib scarf by modifying a pattern by Margaret Schroder. I have a picture of it and am willing to share the pattern. I made this for Christmas, in a DK weight (8ply) merino wool from New Zealand, on size 7 needles(35 stitches across), and it was gorgeous. Thanks for posting the pattern. Cast on 112 stitches. 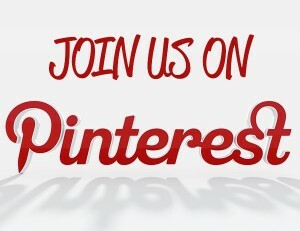 Join, being careful not to twist. Repeat rows 1-8 (5 times,) then rows 1 and 2. Run yarn through and draw up. Secure ends. Awesome! Thank you! Is there a way to knit this flat? Thank you for this website. 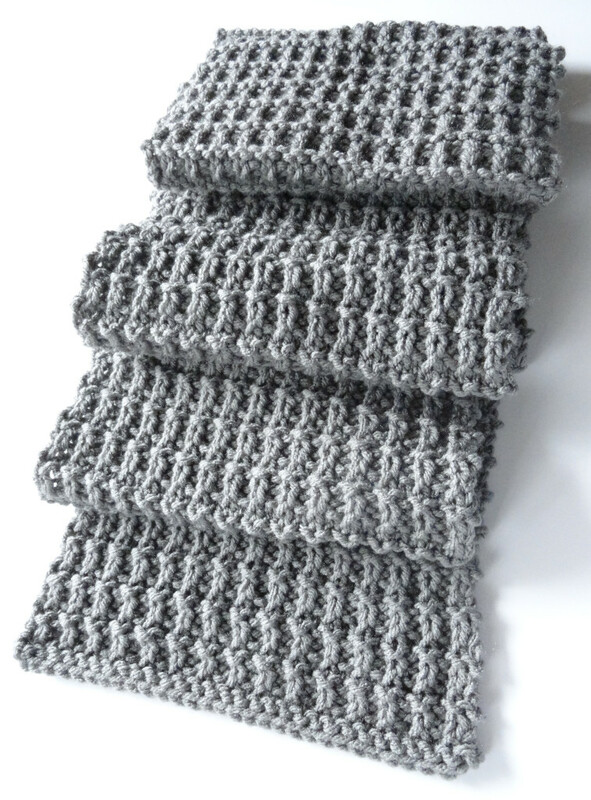 I wanted to get back into knitting and started with this scarf, it looks fantastic. My daughter’s boyfriend is now begging for a matching hat. Is there one please? You’re welcome. I haven’t designed a hat pattern that matches this scarf but a fellow reader (Justine) was kind enough to post her hat pattern in the comments above. I have not tested it but I’m sure it will work well with the scarf. Thanks again for your work and effort! I’m also going to use the red heart with love yarn. Did you block this acrylic yarn? Will it look better if I try to block it? I’m. New knitter and have never blocked. I did. I always recommend blocking your work especially if you are working with lace stitches. My son has just mentioned to my husband that all he wants for Christmas is a scarf made by me. Do you think I have enough time to knit this by Christmas, I’m not your fasted knitter. Thanks so much for sharing. Beautiful pattern!!!!! Ty!!! Making this in stripes of camel & grass green for my grandson! Hi, I’m writing you from Florence Italy. I made my 15 year old nephew this scarf in beige for Christmas and when my son (his father) saw it finished, he asked me to make not only one for him, but this same great pattern in many different colors and yarns. The pattern comes out well in different weights and colors of yarn. In fact I have already given my son one in beige alpaca and another in two strads of variegated sock yarn in grey tones worked together. All three have had great success with my men. Keep up the good work. I really like the pattern, so I will make the scarf for my husband. I would like to make this scarf, but I knit with circular needles. Can I use them to make this scarf. Thank you. Is this reversible? Are the 2 sides the same? Thanks! I love this, was crushed when it was knitting and not crochet.